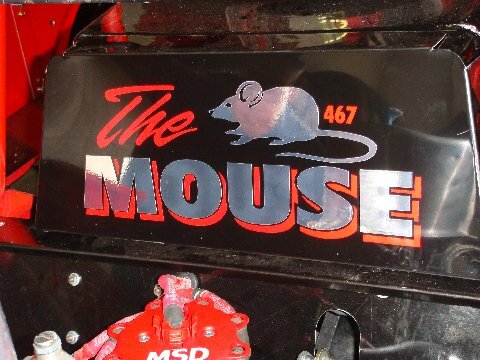 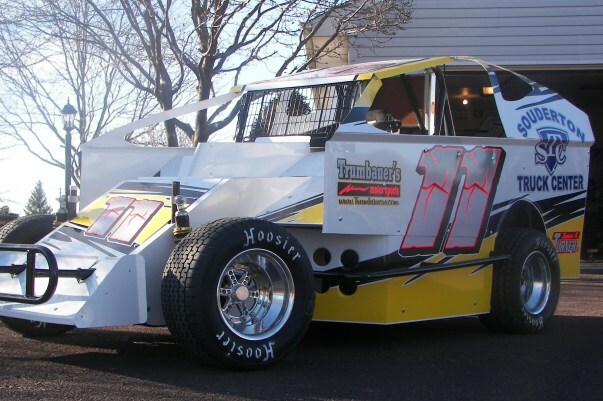 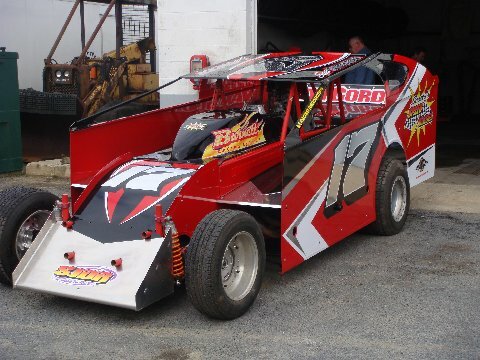 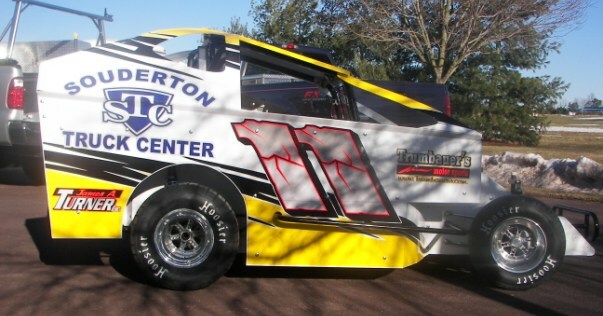 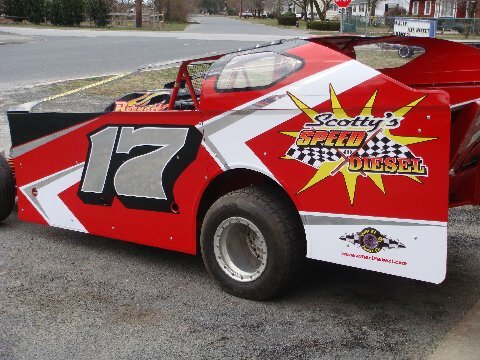 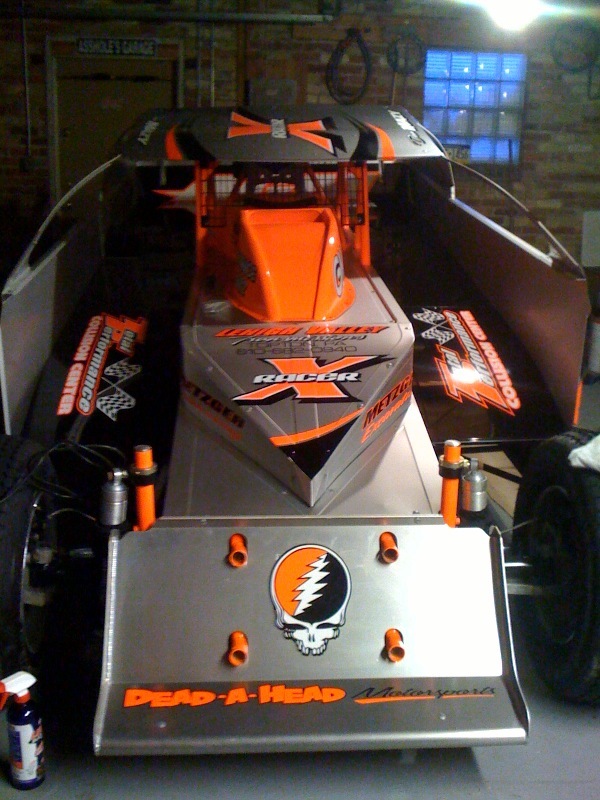 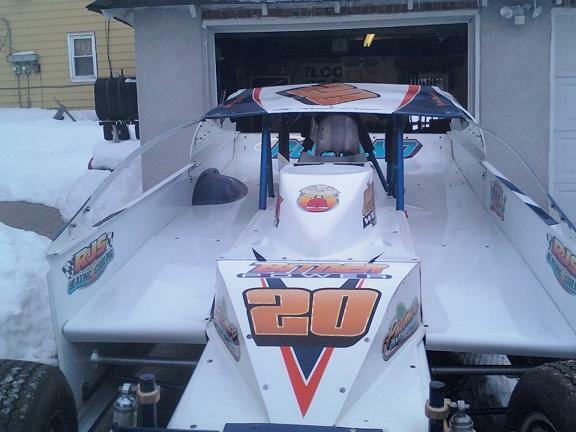 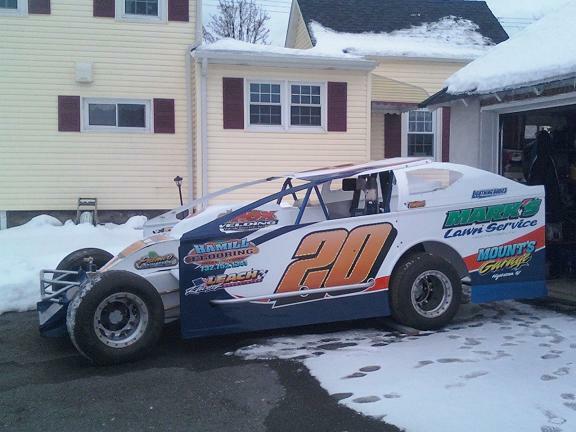 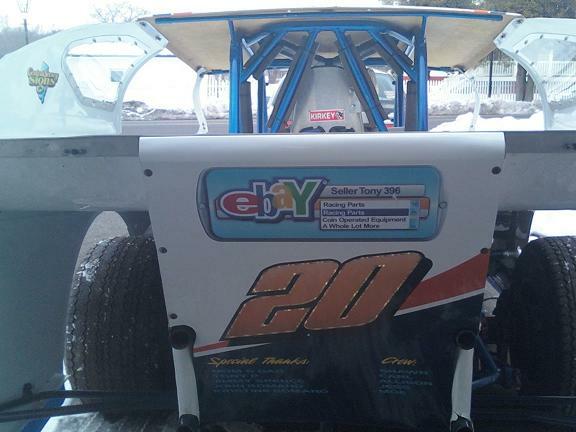 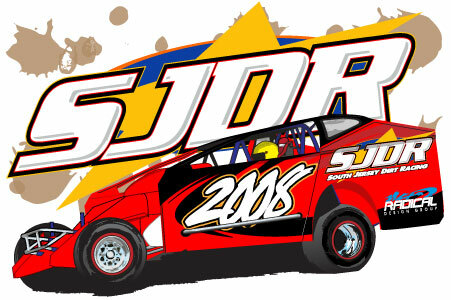 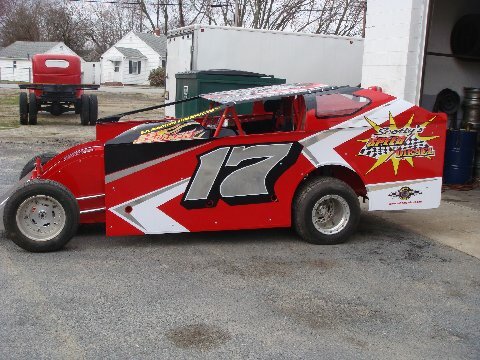 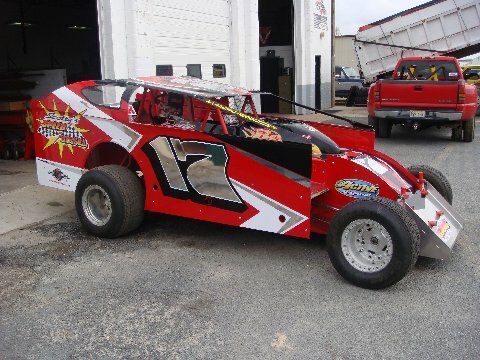 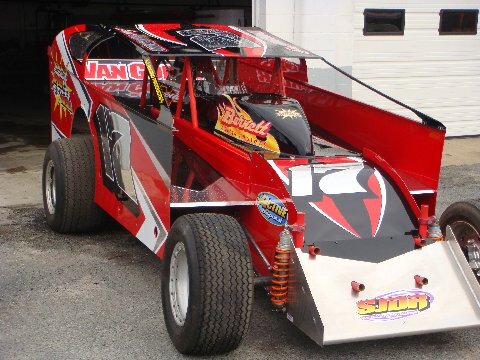 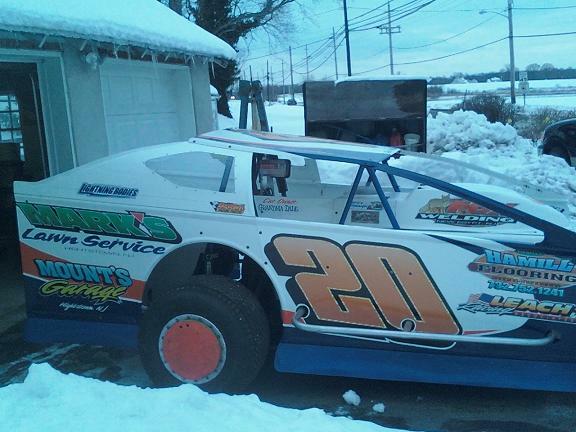 Jim Introne Sr's 2010 modified graphics by WMD/Wolf Motorsports Designs Gloversville, NY. 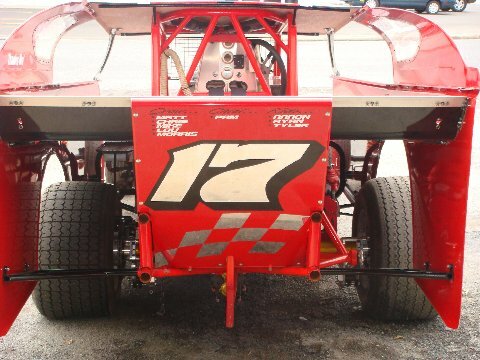 Palmco Race Repair, Fox Welding, RJS Heating and Cooling. 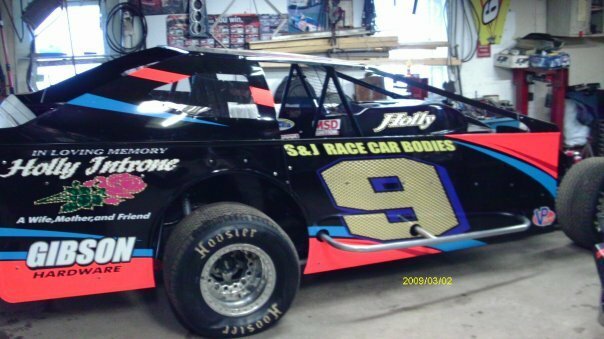 Greg Hoffmaster's late model that will race at Grandview Speedway.